My first encounter with the British Chamber of Commerce in Belgium was in 1996 after I arrived in Belgium to set up a new business. I had previously been a member of the British Chamber of Commerce in Hong Kong so was aware of the potential network such an organisation could provide. After joining as a member I sat on what was then the Business Development Group and moved on become the Chair between in 1997 to 2003. At the same time I served two consecutive terms as Vice President before then becoming the President of the chamber for a two year term. As with every business there are issues we were discussing in back 1999 that remain current today, often centered around the budget as well as the strategic direction of the chamber. On the other hand we have really progressed and grown in member numbers and revenue, in our identity, in our focus and in our influence. These have all been strategic objectives set by the current President I am glad to be able to help to achieve this. The real jewel in the crown has to be the EU Committee, not just because of the revenue it creates for the chamber but also in terms of the influence it has in the European Institutions. The committee is transparent, balanced and fair. It represents our members interests well to the leading policy makers in Brussels and enables those members to sponsor, host and attend a wide range of events and discussions involving these policy makers. Being part of a strong business network such as the one provided by the chamber has enabled me to make and maintain long-term friendships. It has also allowed me to profile our business and its services to its members: by sponsoring events, like the Expat Financial Affairs in 2013 & 2014, by being a part of the Accredited Service Provider programme and being a Networking Partner. The opportunities are endless for my business and I am a great believer in you can only get out of an organisation like the chamber what you put in. 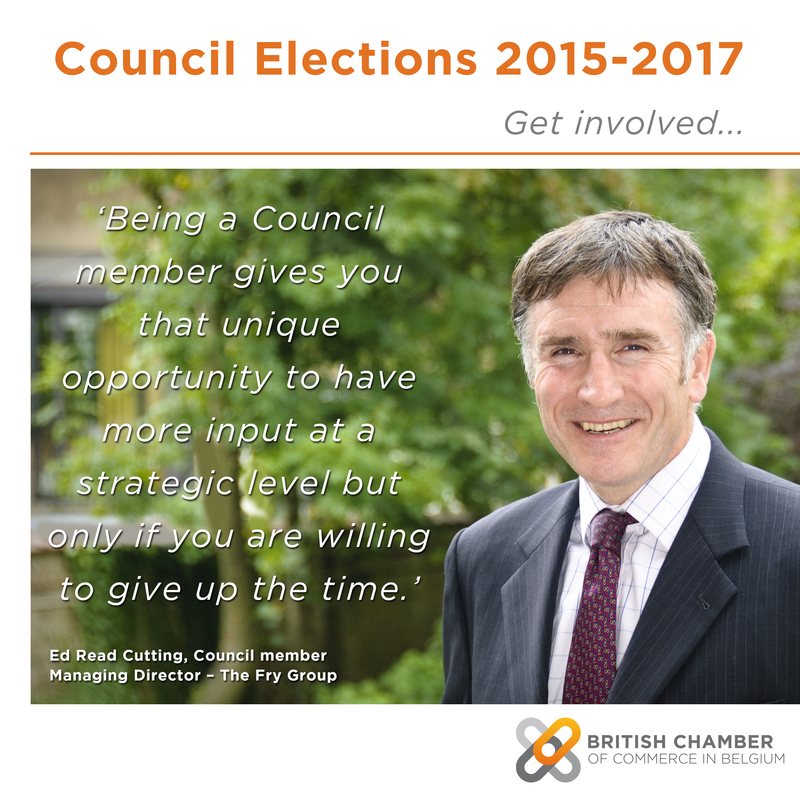 If you’re a member of the Council you have to be engaged with the chamber proactively rather than re-actively. Everyone, from small businesses to large corporations, has something they can offer to the chamber whether that’s through sponsorship or giving up some extra time to participate in a sub-committee, and in turn the chamber has something to offer you. Being a Council member gives you that unique opportunity to have more input at a strategic level but only if you are willing to give up the time. As a Council member you are an ambassador of the chamber and thus have more responsibility to welcome new members and look after existing ones. This in itself brings its own rewards.